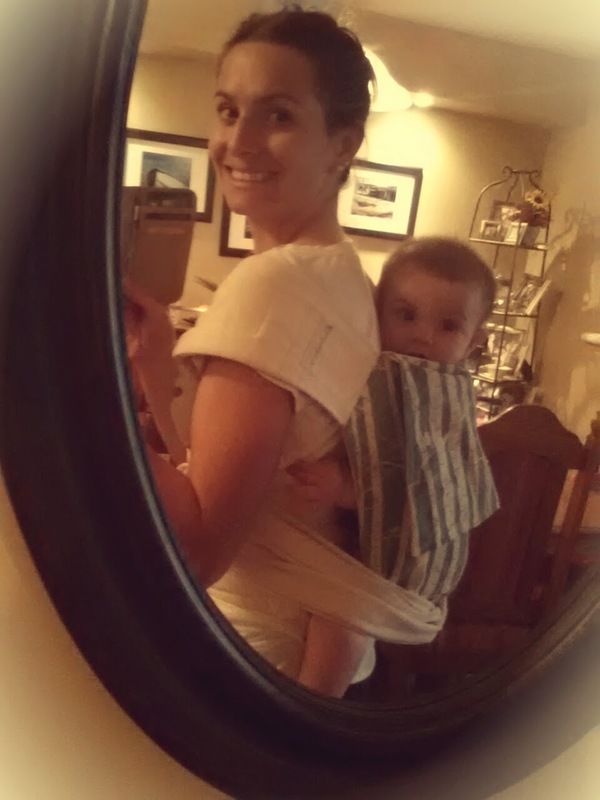 A post on our local babywearing group about mei tais made me curious to try one for myself. It looked like a great cross between wrapping and a soft structured carrier. I was fortunate to find a custom KinderCarry mei tai made from a beautiful birch tree fabric on the Canadian Babywearing Swap. The straps were an unbleached canvas and were lightly padded. They measured about 4 inches across, so cupped the shoulder nicely. I understand that KinderCarry no longer makes mei tais, but at the time there were a few of them going around. 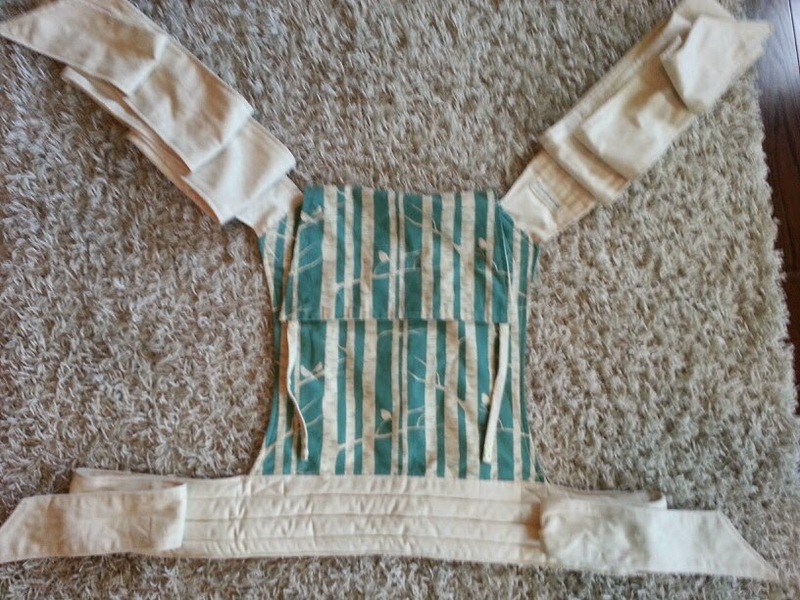 The waist was lightly padded, and made of the same fabric. What struck me about this carrier was the beauty of it. It was a work of art. As such, I was scared to wear it and ruin it. I wore it for special occasions and around the house. I found it very comfortable for back wearing in particular. It was very sturdy, and had a nice flat hood that was easy to pull up from the back. My youngest son had his first back nap in this carrier. I did not find is as comfortable for front wearing, I found the lightly padded straps too wide for my narrow shoulders, and they tended to ride up towards my neck because of this. I ended up churning this, as I needed to fund something more cuddly for front wearing my small (at the time) baby. This was our first back carry, and led to our first back nap! 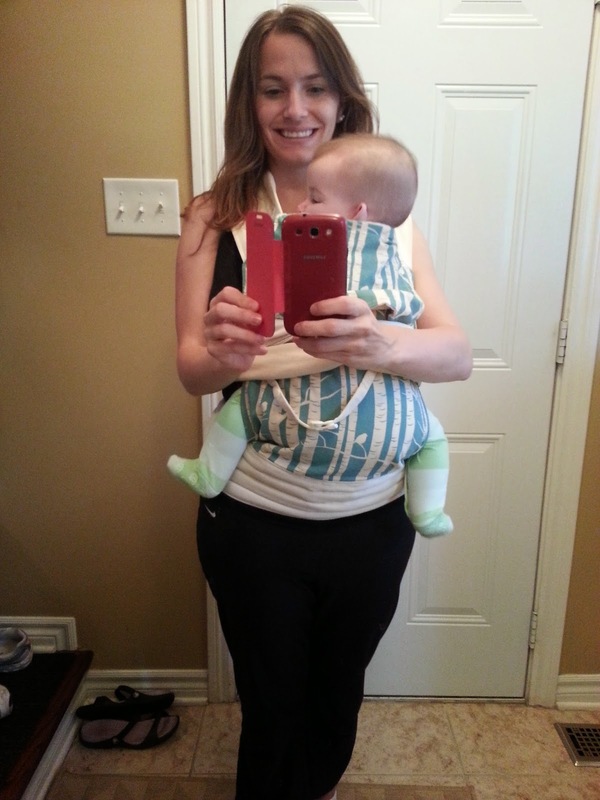 The Verdict: It was a lovely carrier, and I am pleased that I was able to try it. You cannot easily find these any more, as KinderCarry has exploded in popularity, so if you are a collector or general MT lover, I would buy it if you see one just to have a chance to try it out.